OTTAWA -- The Trudeau Liberals are poised to introduce a new law to protect and promote Indigenous languages. 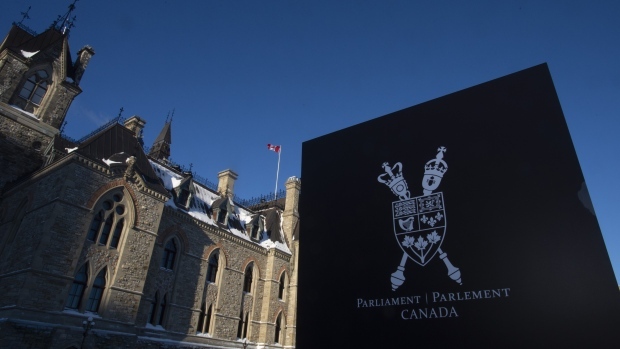 Just before the weekend, the government put the House of Commons on notice that it planned to introduce a new bill, titled "An Act respecting Indigenous languages," for MPs to debate. On Friday, during a UN event kicking off the International Year of Indigenous Languages, Assembly of First Nations National Chief Perry Bellegarde described a law that could create programs to inspire Indigenous people of all ages to speak their languages. First Nations helped develop the soon-to-be-introduced bill that will "help ensure our languages survive and thrive," Bellegarde said. The data also showed a two-decade decline in the percentage of Indigenous people able to speak an Indigenous language, going from 29 per cent in 1996 down to 16 per cent in 2016. "Canada will be a stronger, richer country when we hear First Nations children and families speaking their languages," Bellegarde said in a statement Friday. "It will be a historic way to mark the International Year of Indigenous Languages when this country -- that once tried to eradicate our languages -- passes a bill that was developed with us to protect, promote and revitalize our languages." At the end of 2016, the Liberals promised to create a law to promote Indigenous languages, which could include long-term, sufficient funding for schools and special immersion programs on- and off-reserve. In December, Bellegarde told a gathering of chiefs that he wanted to see the legislation, among other bills, turned into law before the House of Commons rises in June and an election campaign takes over federal politics. Late last year, MPs agreed to have interpretation services available on request for any MP who wishes to use one of more than 60 Indigenous languages in the Commons or in a Commons committee.